These special tulips cannot truly be referred to as a 'topping'. They have been treated from the bottom up instead of on top. 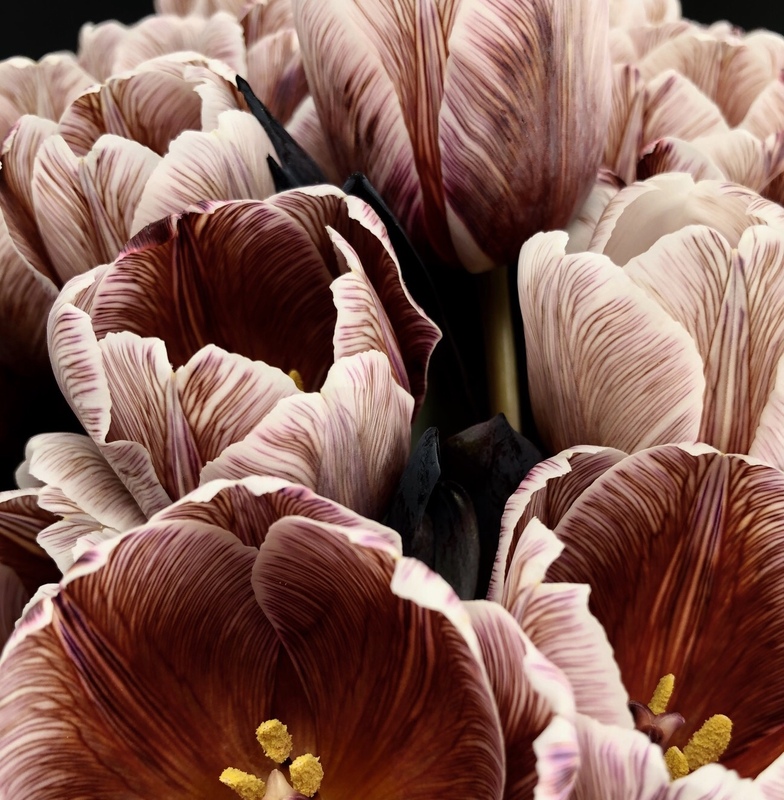 Like many other flower varieties, tulips have the ability to undergo a metamorphosis, this is done by allowing it to drink a special coloured fluid. This results in stunning coloured petals. The absorbable flower dye we use is made from natural dyes, contains no (heavy) metals, is biodegradable and does not harm the environment. Available in January, February, March and April.